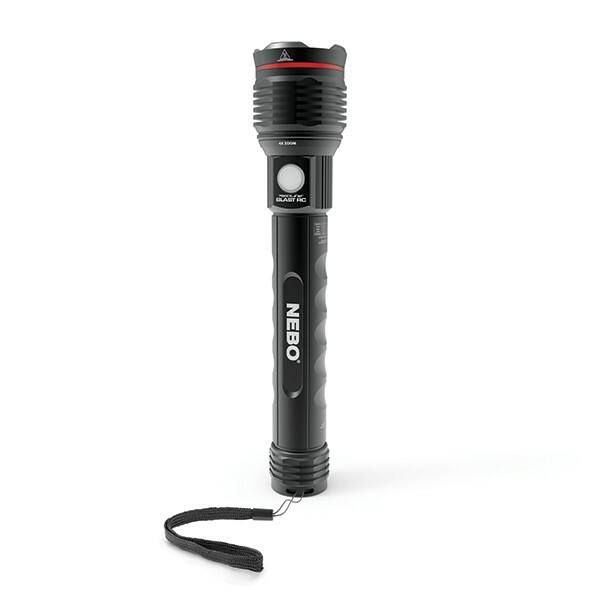 The REDLINE®BLAST RC, a 3200 lumen, waterproof, rechargeable flashlight that is also a power bank for your USB powered device. The BLAST RC includes a charging cable and lanyard for convenient carry. The button also serves as a battery charging indicator.